Transferring photos between your Mac and your various iDevices via iTunes, email, or iCloud is often more complicated than it should be. A new app called Photo Transfer WiFi eases the pain. 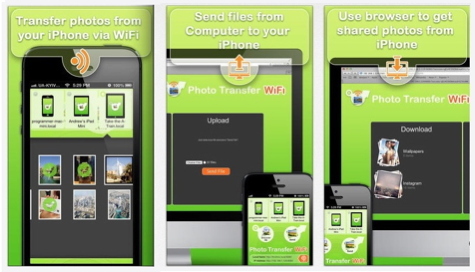 Open the Photo Transfer WiFi app on your iPhone, for example, and it will recognize your Wi-Fi network and produce a URL that you enter in your Mac’s browser. Once this link is established, you can drag and drop photos in either direction wirelessly. In the app’s Settings menu, you need to set up a password so that whenever or wherever you use the app, your data is protected. The app allows transfers of folders as well as individual photos. The app works with PCs, Macs, and the iDevices: iPhone, iPod touch, iPad, and iPad mini. Transfers can be made between two mobile devices as well as between a mobile device and a computer. 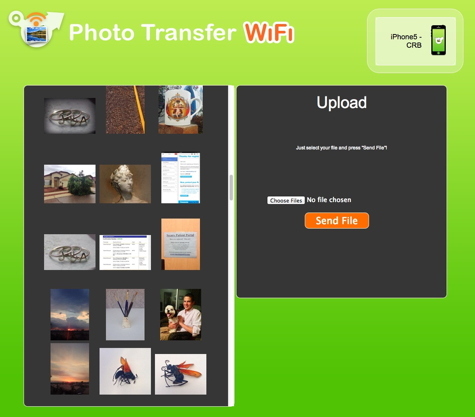 A Photo Transfer WiFi update to v1.0.1 was added in mid-August, 2013 that speeds and smooths performance. The initial set-up is not as intuitive as it could be, but once you understand the navigation, the app performs well. This is a nice little app to have in your arsenal, especially when returning home from a trip with lots of snapshots. You’ll save time transferring photos because of the way this app simplifies the process.